Hackney Council has become the latest borough to consult on plans for a new landlord licensing scheme. Research by London Property Licensing has found there are already 29 additional and selective licensing schemes operating throughout London. Under these schemes, over 200,000 of London’s private rented homes need to be licensed by the local council. A selective licensing scheme covering all other private rented homes in three wards – Brownswood, Cazenove and Stoke Newington. According to the council, serious hazards such as leaking roofs, exposed wiring and vermin infestations have been found in around 20% of rented homes in these areas. Hackney Council’s licensing consultation is taking place from 18 September to 3 December 2017. A separate licence would be required for each rented property, with the schemes likely to be introduced in Summer 2018. The licensing schemes would cover an estimated 4,000 HMOs plus all private rented homes in the three selective licensing wards. Whilst application fees have not yet been finalised, the council anticipate £400 to £500 for a selective licence and £900 to £1,150 for an additional licence. The council have said that those who let a property without a licence or fail to comply with its conditions – such as six-monthly inspections and minimum standards of security, facilities and safety – would face prosecution and an unlimited fine. 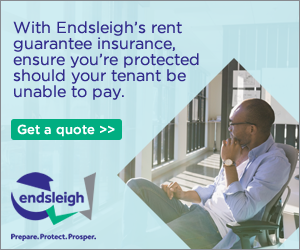 “One in three homes in Hackney is privately rented, and too many renters face a raw deal of spiralling rents and a poor service from a minority of rogue landlords. “Our research has exposed that in some parts of our borough, tenants face appalling conditions that put their safety at risk despite paying an average of £1,820 a month in rent for a standard two-bedroom home. “This is simply unacceptable. We believe that introducing these licensing measures will give us the powers we need to tackle landlords who exploit renters and make sure their homes are safe, secure and well-maintained. “But crucially, we want as many renters, landlords and residents who experience these issues first hand to respond to this consultation and give their views on our proposals”. More information about property licensing requirements in Hackney is available here.